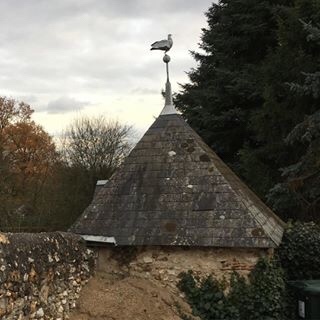 Tagged: weather vane in the Loire. That can happen! I like the vane. It happens. Maybe the vane has only just been added. I think I’d be still watching for it to fly off! Wonder if a real pigeon would sit on top of it. Now that would be a funny photo!